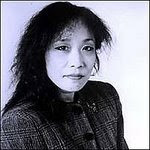 With Today's Updike Review, Michiko Kakutani Has Called 54 Books "Elegiac." That's Just Sad. Today's Michiko Kakutani review of the final John Updike short story collection refers to his "fine, elegiac" stories in the first paragraph. That seems appropriate enough, right? Updike died last year, and the word is defined as "characteristic of an elegy." But maybe it's time for Kakutani to hit the thesaurus for an alternative. It turns out the NYT book critic has used the word on 53 previous occasions to describe an author's tone as befitting a sad occasion or sentiment. Sounds like a lot to us. And it would seem to dwarf Kakutani's previously-noted preference for the word "limned," which, in fact, shows up in only 36 reviews. Not surprisingly, Kakutani drops "elegiac" into her reviews of writers in the twilights of their careers -- we found three apiece in reviews of Updike, Norman Mailer, Philip Roth and William Styron. Poor Gore Vidal has earned only one "elegiac" to date. To be fair, Kakutani (who won the Pulitzer Prize for criticism in 1998) has been reviewing books for the NYT since 1983, which means an average of only two "elegiac" mentions a year. And it's worth noting that she has used the word "compelling" 278 times during the same period, "brilliant" 155 times, and "wonderful" 177 times. Plus, we like her! And we don't think of Kakutani as a pushover, either. She has invoked the word "worthless" eight times, and probably is using it again right now to describe a NYT blog we know. What If Maureen Dowd Is Lying? And What If Her "Friend" Works For The NYT? We Examine The Evidence. As usual, public editor Clark Hoyt failed in his most basic job as a journalist yesterday. He took a news source's story at her word, without performing the job he's paid to do: determine the facts. Hoyt joined the chorus of those who don't label what Maureen Dowd did -- publishing the words of blogger Josh Marshall under her byline in her May 13 column -- as plagiarism. In his column yesterday, Hoyt reported that he interviewed Dowd, who told him that "the passage in question was part of an email conversation" with a friend. That means we now supposedly know for certain what we'd previously been forced to assume -- that Dowd cut and pasted the passage from her friend's email and into her column. This action prompted Hoyt to draw a typically baffling conclusion. "I do not think Dowd plagiarized," Hoyt wrote, "but I also do not think what she did was right." That is what is known as a distinction without a difference. But what's truly significant about Hoyt's column is what it didn't tell us, and what questions it left unanswered. Did Dowd disclose to Hoyt, or to her editors at the NYT, the identity of the "friend" whose email she allegedly copied? Has Dowd been asked to shown the friend's email, or their correspondence, to anyone -- either Hoyt or her editors -- to back up her version of what happened? In the absence of any response, we assume the answer to both questions is no. A NYT spokeswoman specifically said last week that "there is no need to do anything further since there is no allegation, hint or anything else from Marshall that this was anything but an error." But what if the person whose work was appropriated has his own reasons for not pursuing allegations of plagiarism? We think that's a relevant and important issue in this story that hasn't been addressed -- in some ways, perhaps the most relevant to the NYT's inadequate handling of the Dowd accusations -- and we'll come back to it. But first, we want to explain why we still wonder whether Maureen Dowd is lying, and what we think she could be lying about. The longer the NYT goes without telling us what it knows -- and the longer Dowd goes without elaborating on her sketchy excuse for what happened -- the more our mind wanders to a series of troubling questions about her explanation for what happened. Why is Dowd not publicly addressing certain aspects of the story of her friend and the email? Dowd has a stellar record as an ethical journalist, and a teller of truth. But any student of plagiarism knows it's commonplace for the accused to mask their deception. In the 2003 case of Jayson Blair -- whose road to ruin began with accusations of plagiarism lodged by a Texas newspaper reporter -- the young NYT reporter vehemently denied having plagiarized, and even produced notes to document his supposed "reporting." It wasn't until the NYT investigated Blair, and uncovered a pattern of deceptions and fabrications, that Blair acknowledged his guilt. We're not suggesting that even in a worst-case scenario, Dowd could have committed a journalistic breach even remotely on the level of Jayson Blair. But we do believe an internal investigation is appropriate and necessary whenever anyone is accused of plagiarism, and no matter who is complaining. Why is Dowd protecting the identity of her friend? Is it for reasons that would cause more problems for her or the NYT? In Dowd's initial email statement, she referred to her "friend" without any reference to gender. However, in a followup email to The NYTPicker, Dowd referred to the friend as a "he." 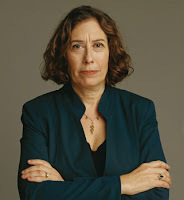 She has made no further comment about the friend's identity, except to say that it wasn't Leon Wieseltier, literary editor of The New Republic, who is widely known as a frequent confidant of the columnist. Why is Dowd protecting the identity of her friend? And why hasn't her friend come forward to accept responsibility for the plagiarism, exonerating Dowd? Isn't that what friends are for? The fact that the friend hasn't spoken up -- or been identified -- suggests that Dowd doesn't want her source identified for some reason. But what could that reason be? One possible theory is that her "friend" works for the NYT. Wouldn't that present additional complications for both Dowd and the paper? Think about it: if a NYT reporter or editor were demonstrated to be the source of the plagiarism, the NYT goes from being a concerned spectator to an active participant in the act. Dowd's incomplete explanation has left many readers -- including prominent media critics like Jack Shafer at Slate -- waiting for details. Shafer called her story "a tad incomplete" and advised: "The best and perhaps only way for Dowd to set things right will be to...tell her readers in detail how she came to commit this transgression." Dowd hasn't done so. We emailed Dowd last night with the same questions we posed to the NYT last week -- about whether she produced any evidence to support her story to her editors. We also asked her if her "friend" was an employee of the NYT. She hasn't responded. You may be thinking that we're a little too quick to question Dowd -- that with a Pulitzer Prize and a sparkling career as a columnist on her resume, that there's no reason to doubt her word. But when you consider Dowd's curious avoidance of full disclosure last Sunday about the allegations of plagiarism, it's impossible not to wonder why she was being so evasive in answering simple questions -- and whether that suggested some element of deceit. In her first email to The NYTPicker last Sunday night, Dowd explained that "I was talking to a friend Friday about what I was writing." Now, a week later, we know that wasn't true. It turns out Dowd wasn't "talking," she was emailing. It's a distinction that Dowd was smart enough to understand last Sunday. She knew that by using the word "talking," she was intending us to consider it a verbal communication. When we followed up with Dowd last Sunday to ask if the friend had "dictated" the quote, Dowd definitively said "no," and added: "We were going back and forth discussing the topic of the column." Yet again, Dowd deflected the question of how the line got transmitted. When we pressed the point a third time, Dowd again avoided giving a direct answer. "A friend suggested I make this point," Dowd wrote us. "I paid attention and made the point." Still no answer to our direct inquiry about how it was transmitted. We sent a fourth email with the same question and another about the identity of the friend; this time, she ignored the question about whether it was dictated or emailed, and instead just denied that the friend was Leon Wieseltier of The New Republic. We asked a fifth time. This time Dowd disclosed: "It's a friend I talk to by phone and email." But still no answer about how the quote got communicated. Our last email exchange -- when we asked for the sixth time whether the Marshall line came to her via email or by phone -- she said curtly: "I thought I said here it was someone I talk to on both." And that was Dowd's final contact with the NYTPicker, or anyone else, until she finally told Hoyt that the line came in what Hoyt called an "email conversation." The more we examine Dowd's responses to us last Sunday, the more convinced we become that her determination not to answer has some deeper explanation than a simple failure to comprehend the question. Why was Dowd deflecting such a simple inquiry? Why, when asked whether NYT editors had checked out Dowd's story, did the NYT's spokespeople fall silent? Why did Clark Hoyt not even bring up the identity of the friend, or pursue any reporting of his own on the email in question? It all comes down to Dowd's own prominence as a NYT columnist, and the power of the NYT to intimidate its critics. Even Clark Hoyt -- whose job is to question, to doubt, and to investigate the institution that pays his salary -- seemed cowed by Dowd. Instead of describing the episode as a legitimate inquiry into a possible plagiarism, he cast it as a web-based feeding frenzy. "The Internet was soon aflame with charges of plagiarism," Hoyt wrote today, implying that the print world wasn't nearly so convinced of Dowd's sins. And Hoyt repeated Marshall's own comment on the matter, which had become the basis for the NYT's belief that the Dowd story warranted no further attention. "We're too quick to pull the trigger with charges of plagiarism," Marshall posted on his website, adding that the correction the NYT published was "pretty much the end of it." But Hoyt failed to note the obvious fact that Marshall -- like Dowd, a political commentator, but unlike Dowd, a blogger -- had every reason to want to avoid a conflict with one of the nation's most powerful columnists, and the newspaper of record. Is it worth noting that a little over a year ago, the NYT published a laudatory 1400-word profile of Marshall by Noam Cohen, in connection with winning a George Polk Award? We think it is. We don't doubt Marshall's integrity for a second, but we also figure that a fight with the NYT -- and Maureen Dowd -- over a plagiarism accusation was the last thing he wanted to engage in last week. Here's our point. If the only standard the NYT follows in deciding whether to investigate plagiarism is whether the victim wants to press charges, doesn't it risk the regular possibility that journalists won't want to do battle with a place that could one day employ them? We could easily see the day when Marshall could become a contender for an op-ed column at the NYT. Isn't it possible he wouldn't want to risk the damage to those chances that a plagiarism fight would create? Dozens -- probably hundreds -- of top journalists would probably want to avoid such a fight even if their work was plagiarized, and for the same reason. Add Maureen Dowd to the mix, and you've got some excellent motivation to stand down. We're arguing for an objective standard for plagiarism investigations -- one that applies equally to all reporters and columnists, regardless of whether the victim feels victimized or not. NYT readers ought to know that the paper's editors remain vigilant to protect basic standards of integrity, whether forced to or not by bloggers, media critics or Public Editors. We were grateful that Maureen Dowd decided to respond to our emails last week, and we've been appreciative in the past that NYT editors and public-relations personnel have answered our questions. We've gotten the distinct sense that the NYT likes the fact that we don't just make assertions; we also ask questions, do reporting, and seek to present the truth. The reason for this post tonight is that we have waited five days for the NYT to respond to our questions, and have been forced to assume -- by the uncharacteristic silence of Catherine Mathis and her lieutenant, Diane McNulty -- that the NYT is unwilling to disclose whether it has investigated any of Dowd's assertions. It's important to note here that we're not asking the NYT to disclose the identity of her friend, or to release the text of the email. All we want to know is whether Dowd's editors know who the friend is, and whether they've seen the email for themselves. If the answer to those questions is yes, then we'll believe Dowd's story. But as long as the NYT declines to answer our questions, we'll keep wondering whether Dowd was been lying in her emails to The NYTPicker last week. And the more we read them, the more we wonder. In the seven months since The NYTPicker began publishing, we have occasionally been called "cowards" by those who believe our anonymity diminishes our credibility. If we were willing to put our names behind our reporting, the theory goes, we'd be more deserving of respect. But we hope it's obvious to our readers -- who have followed our efforts to report the Dowd story through interviews and analysis of the facts and statements available to us -- that we're not a shoot-from-the-hip blog that makes ad hominem attacks on its subjects, or applies personal invective to our commentary. We have the utmost respect for Maureen Dowd and the NYT, and want nothing more than to see her cleared of these accusations. But we see no way for that to happen unless she, or the NYT, comes clean about what happened -- or at least to tell us she's produced evidence to document her story. If there is any coward in the events of the last week, it's Dowd and her "friend." If either of them had come forward to her editors with the details of what happened between them -- enough to document Dowd's story beyond suspicion -- then discussion of this supposed "plagiarism" would have long been over. But by hiding behind Josh Marshall's unwillingness to challenge the NYT, Dowd and her friend -- and the NYT itself -- are shielding themselves from legitimate questioning in a way that the NYT and Dowd would never allow in the people and institutions they cover. Why does Dowd have the right to demand courage and transparency from the rest of the world, while not offering any of her own? That is the behavior of a coward who has something to hide. 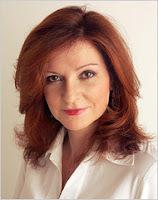 Did The NYT Give Maureen Dowd A Free Pass On A Plagiarism Charge? Looks That Way. The story's over, folks. Maureen Dowd is back imagining childish chitchat between Cheney and Rumsfeld over a bottle of Brunello. Josh Marshall, the blogger whose words she "accidentally" appropriated for her Sunday column, has declared the NYT's one-sentence correction "the end of it." Press critics -- those that bothered to write about the accusations against Dowd that surfaced late Sunday afternoon -- generally see the incident as small potatoes in the grand scheme of journalistic transgressions. But we don't think the story's over, or ought to be. We believe the NYT has given its star columnst a free pass on an incident that would have potentially cost another reporter their job -- the act, intentional or not, of allowing another writer's words to appear in print under your byline. Not to get all legal or anything, but this is important: plagiarism is not an act that requires intent. Otherwise we'd be willing -- and expected -- to forgive all manner of idiots, and their varied excuses for copying other writers' words. The other night, we wrote a that the word "plagiarism" has no place in the discussion of this incident. We've revised our thinking on that point. If Dowd's account of what happened is true -- and we have no reason to consider her a liar -- then it was inadvertent plagiarism. But it's still plagiarism; Josh Marshall's words appeared in the NYT under Mauren Dowd's byline. There's no other word to describe it. Staff members who plagiarize...betray our fundamental pact with our readers. We will not tolerate such behavior. But nothing's going to happen to Dowd, and here's why. At a time of declining revenues and a shaky business model, Dowd ranks among the NYT's most stable and valuable editorial assets. The NYT can simply not afford to put Dowd under the glare of investigation, and risk alienating -- let alone losing -- one of its most celebrated stars. What are the charges against Dowd, anyway? Let's review them, because they're largely unresolved -- and they're more serious than you would think from reading most media critics, who see this episode as a minor misdemeanor, or even worse, not worth writing about at all. 1. Dowd published a column in the NYT with a paragraph lifted directly -- and virtually verbatim -- from a prominent blog. -- "a friend suggested" that Dowd make that point in her piece, without telling her it came from the blog. -- the "friend" consented to have the idea included in Dowd's column without credit. -- the "friend" and Dowd communicate frequently via email and phone. -- Dowd would have attributed the paragraph if she had known its source, but her "friend" failed to tell her that it came from Marshall's blog. To her critics, that explanation suffices. It shows that Dowd didn't intend to plagiarize -- that her friend misled her into thinking she was quoting the friend, and not Marshall. Dowd, along with the NYT spokeswoman who has supported Dowd's version of events, has also asked us to give her credit for her stellar record of attribution as a journalist and columnist. What's the relevance of that? Plagiarists don't -- and shouldn't -- get to cite their previous original work as a defense. As journalists we are responsible for our actions every single day, and mistakes matter, even first ones if they're serious enough. It's appropriate to take Dowd's stellar record for attribution into account when deciding whether to punish her for the transgression, but it doesn't make her innocent, or give her permanent immunity from doubt. And it shouldn't lessen the NYT's commitment to set things right in this instance. There's a lot yet to set right in this episode, and the NYT owes it to its readers to come clean. So does Dowd. There remain several questions Dowd has still not answered publicly or adequately -- questions the NYT has seemingly not forced her to address, nor deemed necessary to answer for its readers. -- Dowd won't say how the friend transmitted the "idea" -- which was, most seem to agree, almost impossible to pass on except by dictation or email. Dowd denies that the Marshall paragraph was dictated to her, but won't otherwise disclose any details of how a 45-word sentence from a blog, including commas, got transmitted to her. If the paragraph was emailed, did her "friend" cut and paste Marshall's words into an email? Or was the paragraph part of a larger email with multiple ideas, in which the friend inserted the Marshall quote? Specific answers to these questions would help her editors -- and readers, if the NYT chose to be transparent about this -- understand that the mistake was, indeed, inadvertent. If it was said aloud, how could Dowd have so accurately transcribed the words? This scenario poses more problems for Dowd. If her "friend" told her the idea over the phone, it's implausible to imagine Dowd getting the Marshall sentence so accurately unless it was dictated. Dowd specifically said "no" when asked by the NYTPicker on Sunday night if it had been dictated to her. "We were going back and forth discussing the topic of the column," Dowd told the NYTPicker via email, "and he made this point and I thought it was a good one and wanted to weave it in." Again, not to get all lawyery, but it's worth noting the care with which Dowd has chosen her words. "Going back and forth" still doesn't tell us how the paragraph went from her friend's mind into Dowd's column. "He made this point" also doesn't specify how that was done. On Sunday night, we pressed Dowd twice on the question of how the point got transmitted, in followup emails. Our first follow up email posed a direct question as to whether this was communicated via phone or email. forgive me if we're being thick...but how could it have ended up word for word the same as marshall, if it wasn't dictated in some way? also, would it be incorrect to suggest that the friend might be leon wieseltier? he has often been cited as a friend/adviser of yours on columns. In other words, still no answer. At this point we wrote to Dowd one more time. This exchange hasn't been published before, by the way -- frankly, we didn't know what to make of her unwillingness to answer our direct question for the third time, so we let it go. But it's relevant to this discussion so we're including it now. Thank you very much for replying. We really appreciate your willingness to answer our questions. Please forgive us for pressing this point, but your email doesn't quite clarify the issue, and it's one that's being raised across the web tonight. How, exactly, did the entire paragraph end up nearly verbatim in your column? It stretches credibility to suggest that the came fully-formed in Josh's words via a phone conversation, unless it was dictated, which you said it wasn't. if you can categorically say that this paragraph came to you via email, and without attribution, we think it would go a long way towards allaying readers' concerns over how this happened. Again, thanks for your prompt and helpful answers to our questions. It's clear that Dowd didn't want to say how the Marshall paragraph got transmitted to her -- she's a brilliant reporter herself, and smart enough to know when she's evading a specific question, three separate times. Which raises a different question: why doesn't she want to say? As journalists, our antenna go up when we see someone repeatedly evade an answer to a direct question -- it suggests the possibility that something is being hidden. Dowd has had ample opportunity to tell her readers exactly how she got this paragraph, and exactly how it ended up in her Sunday column, but she chooses not to. Absent a true narrative of what happened, we're left to live with our suspicions. Is that how Dowd and the NYT really want it? What We've Learned: Maureen Dowd Passes Off Her Friends' Words As Her Own. It's Not Plagiarism, But It's Not Right. "The suggestion that the issue is who uncovered the plagiarism is a red herring," said one such staff member. ''The core of Joe Biden's credibility is that he is a self-proclaimed and unique visionary orator. It's like finding out General Haig never served in the Army." That quote appeared in a Maureen Dowd story published on September 16, 1987, a followup to her scoop that then-Sen. Joe Biden had lifted elements of a speech from a British politician. And so will others now write about Dowd -- legitimately -- as we wonder how such a unique, talented and visionary writer could so easily, and inadvertently, have taken an entire paragraph from a blogger and represented it as her own. We do believe it was inadvertent. In fact, we want to say this definitively and without hesitation: we don't believe Maureen Dowd intentionally plagiarized the work of Joshua Micah Marshall, and we do believe her when she says that she would have credited him had she known they were his words. She's not a plagiarist, and that word doesn't have any further place in the discussion of this episode. But Dowd's explanation, over the course of four emails with The NYTPicker late this afternoon and evening, still just doesn't make sense -- and it won't sit well with readers who, like us, read Dowd for the originality of her vision. First, she claimed that she "was talking to a friend" on Friday "who suggested I make this point, expressing it in a cogent -- and I assumed spontaneous -- way and I wanted to weave the idea into my column." In a followup email, Dowd said that "we were going back and forth discussing the topic of the column and he made this point and i thought it was a good one and wanted to weave it in." It's one thing for Dowd to take the essence of a friend's idea and weave it into her commentary. It's another to take the expression of a friend's idea -- the words themselves -- and place it into a piece of writing that appears under her byline, as though it were not only her idea, but also her singular expression of that idea. Shouldn't Dowd be expected -- as a highly-paid and highly-valued member of the NYT staff -- to put ideas, even if they originate from friends, into her own words? It still seems likely (until Dowd tells us specifically otherwise) that the columnist took this idea from her friend verbatim, either through dictation or via cut-and-paste. Either way, it's depressing to contemplate. If the conversation between Dowd and her friend took place on the phone, it simply isn't believable that Dowd could possibly have gotten a virtual word-for-word, comma-for-comma quote unless her friend had dictated the paragraph to her. The odds that a "back-and-forth"phone conversation on the topic could have resulted in this near-verbatim lift seem extraordinarily remote. But when we asked Dowd specifically whether the idea had been dictated to her by her friend, she replied, "No." And in a later email, she told us that she talks to this particular friend "via phone and email." This leaves open only one real possibility: that Dowd's friend emailed her Marshall's point, and that Dowd cut-and-pasted it from the email and into her column. Absent any further details from Dowd -- we've written her yet again for a more detailed explanation of what happened -- we're left only with one explanation for her silence. Dowd doesn't want her audience -- millions of readers who respect and admire the Pulitzer Prize-winning columnist -- to think that she doesn't even bother to edit the thoughts of her friends before dropping them into her column. But today's revelation will make readers wonder, from now on, whether the brilliant ideas, phrases and theses that make Dowd's column so memorable -- and so influential -- belong to her, or to her vast network of friends. It makes perfect sense for a writer -- especially a columnist -- to seek the counsel of friends in forming an opinion. Dowd did nothing wrong in discussing her column with a friend, or even with liking a friend's idea enough to incorporate it into her column. But don't we have the right to expect that the language of a Dowd column belongs to its author, and not to her friends? That's why the notion of a cut-and-paste or dictation matters so much to us. It may not be immoral to borrow the words of a friend and represent them as your own, but it's not exactly a mark of journalistic distinction. And we're pretty sure that the Maureen Dowd who exposed the 1987 Biden transgression would agree with us. EXCLUSIVE: Dowd Denies Friend Dictated Paragraph; "We Were Going Back And Forth," Dowd Says (Sunday, May 17, 6:58 p.m. EXCLUSIVE: Dowd Tells NYTPicker She Talks To Her Friend "By Phone And Email." Did Dowd Cut and Paste? Maureen Dowd has replied to the latest series of questions from The NYTPicker by explaining only that her conversations with her "friend" took place via "phone and email." But Dowd has still failed to clarify the question that still hangs over today's accusations of plagiarism. Even if -- as she claims -- her friend gave her the idea for the paragraph, how could it have ended up as a virtual verbatim quote from Joshua Micah Marshall unless it was dictated to Dowd, or copied directly from an email? These questions go to the heart of Dowd's position. She has previously and flatly denied to The NYTPicker that the point was dictated to her. Her latest statement leaves only the possibility that her "friend" placed Marshall's point into an email, and that Dowd then cut-and-pasted it directly (with a couple of minor word changes) into her column. many thanks for your forthright and prompt responses to our questions. we appreciate your point tha you are happy to give credit, and we know that is the case from reading your columns. however, in this instance your explanation doesn't seem quite logical given the verbatim nature of the copying., "I paid attention and made the point," you say. okay, we still just don't understand how this point gets repeated verbatim, word for word. even the commas are in exactly the same place. it simply seems implausible that it wasn't dictated or given to you in some form. we are pressing this point because, as you know from your experience as a reporter, plagiarism is a serious offense. you are claiming that this came in a verbal conversation and you said your friend "made this point." it's one thing to make a point, it's another to speak in verbatim language from another writer. your explanation does not fully address how this could have happened and we intend to make this point as forcefully as we can on our website. however, before doing so, we welcome any further details you can provide as to how this happened. was this conversaton on the phone or via im? that would help readers to understand how the language was virtually the same. EXCLUSIVE: Maureen Dowd Denies To NYTPicker That "Friend" Was New Republic's Leon Wieseltier: "I Have A Lot Of Friends." In two emails to the NYTPicker responding to followup questions, Dowd has specifically denied that her "friend" was Leon Wieseltier, the literary editor of The New Republic who has long been associated with Dowd and her columns. I have a lot of friends." Dowd writer. thanks for clarifying. still having trouble understanding how a phone conversation results in word-for-word copying of paragraph, if no dictating was involved. can you explain? in this case, a friend suggested i make this point. i paid attention and made the point. i just had no idea it was josh's. i've now corrected, apologized and fixed on the web. that's all i can say. An earlier version of this column failed to attribute a paragraph about the timeline for prisoner abuse to Josh Marshall’s blog at Talking Points Memo. Maureen Dowd has responded to our request for clarification on her earlier comment. We wanted to know whether her friend had dictated the paragraph to her for inclusion in her column -- a logical assumption given that it repeated, almost word for word, Marshall's Thursday post. Strange But True: Thomas D. McAvoy, Life Magazine Photographer Who Died In 1966, Takes Picture For Today's NYT! We want to wish a tentative "welcome back!" to Thomas D. McAvoy, who is credited with taking the above photograph for the lede story on today's NYT website. We say "tentative" because McAvoy was reported dead by the NYT on February 13, 1966. McAvoy is well-known to photography buffs as one of the first four staff photographers hired for the first issue of Life Magazine in 1936, along with Alfred Eisenstaedt and Margaret Bourke-White. Where's The Haggler? NYTPicker Feels Ripped Off BY NYT's Failure To Promptly Deliver New Column. We've got a complaint: we can't find "The Haggler" column in today's NYT! Okay, we've got our Sunday Business section out on the kitchen table, and the usual columns are in place. There's "Fair Game" and "Corner Office," of course. And as always, we can count on "The Count." We've also checked out "The Chatter," "Off The Shelf," "Digital Domain," "Prototype," "Fundamentally" and "Economic View." Launched last week in Sunday Business, David Segal's column lay bare unjust business practices by exposing how hotels change rates on unwitting customers, and speeding up a unfairly-delayed rebate check from Adobe. Now that we've gone back and looked closely, though, we'll admit that there's no actual promise of a weekly column. But frankly, even without a contractual guarantee of a "Haggler" column this week,, we feel as though we're being, you know, shortchanged a little. Ripped off slightly. You get the picture. The kind of thing we'd probably want to bring up with The Haggler. If he still existed. Which we don't even know for sure if he does or not. Whoops! In 2007, David Carr Said "Not Pretty To Imagine" David Geffen Running A Newspaper. Today's news that entertainment mogul David Geffen remains "seriously interested" in buying the NYT may remind media reporter David Carr about his past Geffen insults in his weekly column. We're guessing Geffen remembers them. Or should we say, people who are very familiar with Geffen's thinking remember them. And then there is Mr. Geffen’s offer to buy The Los Angeles Times for $2 billion. While everyone can give Mr. Geffen credit for his deep understanding of how the news media can be manipulated, few would think of that skill set as congruent with owning a newspaper. (And indeed, his effort hasn’t panned out.) But given what he accomplished with a few sharply conceived quotes to a well-read columnist, it is not hard, and not pretty, to imagine what he could do if he were in charge of one of the country’s most important daily newspapers. Business types love to get involved in politics, of course, but their tactics tend more toward the kind of knee-capping they remember so fondly from their boardroom days. No one is expecting Mr. Geffen to spend his days golfing, but there is a danger that if the coming election becomes his full-time hobby, his precision ruthlessness will distort the public process. After all, this is not a movie sale, a busted deal or a Don Henley album; this is about the duly elected leader of the United States. Mr. Geffen and Ron Burkle, another Los Angeles billionaire who is a staunch ally of the Clintons, have already fought for custody of The Los Angeles Times. No one wants to see the presidency treated as a cat toy between rich men who don’t like to lose. So if newspapers in the hands of experienced operators are flailing — the Tribune Company made huge amounts on newspapers before the paradigm shifted — how is it that men who made money selling groceries, building houses or breaking pop music acts will suddenly crack the code? In that column, Carr came down hard on the idea of billionaire saviors in the news business in general. "The trouble with white knights," he concluded, "is that once they get knocked off their horses, they end up covered in the same mud that mere mortals slog through every day." That must be the same mud that Carr threw at Geffen a few months later. The Facebook Group "One Million Strong for the Restoration of William Grimes" Already Has Three Members. Come on, fellow Grimesmen and women. Time to step up and make your feelings plain. You want William Grimes off obits and back on the job when Frank Bruni leaves. This was the dude with the chicken in his back yard, remember? Calls himself Biff. He's done it before, he's already in the system, he's got an i.d. card, all that. Take a stand. Join the Facebook group. Soon we will be one million strong! Good Start, Michael Donohoe. But Times Wire Needs More Work. We'll Check Back. We wanted to like it. But you have to realize, we subscribe to the NYT print edition and we dig that. It's groovy in an old-fashioned, you know, twentieth century way. Six-thirty every morning, there it be. All printed and delivered and everything. With photos and ads and articles all mixed together in a pre-conceived order to report the news. All that for two bucks, starting June 1? Don't worry, we're still in. We love where you're going with Times Wire. It's hot. Everything we want, all in one place, rolling out like a firehose. Isn't that what one of your colleagues wanted to call it? Yeah, we read that on Twitter. Trouble is we're not that thirsty yet. A firehose gives off quite a blast. Also, we like the home page. It, you know, prioritizes. We know from a glance what just happened and what didn't. That helps when you don't have much time. And who has much time? We need to take it slower. Right now it's too much. It's cool that you're there and we figure you'll fix it so we're not overwhelmed. Thanks. From NYT Strategy Meeting, Brian Stelter Reveals: NYT In Talks With Google! At a digital strategy meeting at the Times. News nugget: Wash Post isn't the only paper in talks w/ Google. NYT is, too. Post Co. chief executive Donald Graham and Google chief executive Eric Schmidt and their lieutenants have been holding talks about a possible collaboration. This could range from creating new Web pages to technological tools for journalists or readers. Hanging over the talks is the reality that the search giant, while funneling vital traffic to news sites, vacuums up their content without paying a dime. Post executive Philip Bennett confirmed the discussions, saying: "We're talking to each other about improved ways of creating and presenting news online." He calls it "an informal collaboration" that "has produced some interesting ideas already. I'd say that on the journalism side of the conversation we've learned a lot." 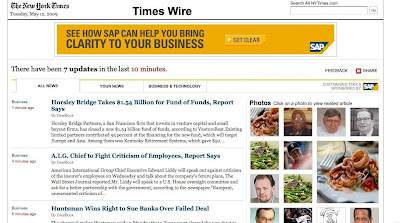 More From NYT Meeting, Via Luo: NYT Considering A Charge For Mobile Apps. "We r aggressively exploring paid apps for mobile b/c ppl more used to paying 4 that, as opposed to in browser." Slow down, Mike, you tweet too fast! If this is how news gets disseminated in the future, we're going to have to seriously improve our typing skills. UPDATE: Jenny Lee has just tweeted that the speaker right now is the nytimes.com general manager. That would be Denise Warren. More From Meeting: Michael Luo Reports NYT Has "Ruled Out Micropayments" For News Stories. Here's the latest from the internal NYT digital strategy meeting. 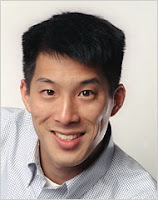 Reporter Michael Luo has just tweeted that "We seem 2 have ruled out micropayments b/c of cost in terms of pageviews." "Research is being devoted to "metered model," how to get revenue from most loyal readers but not hurt pageview based advertising." "comparison of potential nytimes membership to different tiers of amex membership (platinum, gold...what would black be?)" Just wondering, is this some new way for public companies to disclose plans to its shareholders? By giving information to its gossipy reporters at internal strategy meetings and hoping they tweet about what they hear to nosy media websites? If so, we like it! Jennifer 8. Lee: NYT "Rethinking Assumption That Home Delivery Subscribers Get Access To Everything." In a series of real-time tweets from an internal NYT meeting this morning, metro reporter Jennifer 8. Lee is making some interesting disclosures -- including the fact that the NYT may not give its home-delivery subscribers free access to its website when it begins charging for content. That's surprising (and alarming) news, especially for home delivery subscribers like The NYTPicker! "nyt just started looking at B2B opportunities in selling research to Fortune 1000 companies a la the economist." 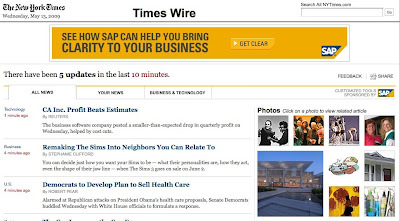 "nyt believes can create significant revenue streams from APIs. estimate 2.5x views of nyt content off site vs. onsite." "re nonprofit: nytimes has rejected raising endowment and individual donations. is still looking at underwriting content." 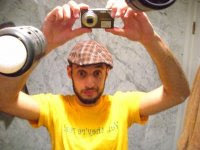 "advertising and subscription do not appear to coexist in web space. espn mostly advertising. weightwatchers mostly sub." But how much longer can Lee keep reporting from the meeting? She's already complaining that the PowerPoint font is too small! Blodget: Turns Out Carlos Slim Got A Few Little Extras For His $250 Million. Henry Blodget, the analyst for Silicon Alley Insider who scrutinizes NYT deals like the rest of examine our pocket change, has uncovered via SEC filings some curious caveats to the $250 million Carlos Slim loan the NYT got last February. 1. In return for the $250 million, Slim got paid a $4.5 million "investor funding fee," which sounds curiously like a pawnbroker payment. 2. Slim gets annual interest payments of 14% on the whole amount -- which, according to Blodget, adds up to $210 million over the six years of the loan, only slightly less than the loan amount itself. 3. Slim gets the right to buy almost 15 million shares of NYTCo stock at $6.36. Right now, the stock is trading at $6.48 a share. 4. The NYTCo. can't borrow any more money until next March. That's gotta be tough for a company that has been basically living on loans. 6. Slim gets the cash from the sale of any properties in excess of $10 million. "In other words," Blodget writes, "if NYTCo sells its Red Sox stake for $150 million, $140 million will likely go straight to Carlos." Ouch. Or, if it prefers, the NYTCo can buy tangible assets that will move to Slim's control if the company goes under. Making this many-strings-attached deal with Slim gives you some idea how desperate for cash the NYTCo has gotten. Don't Think Tom Friedman Is Smart? Consider This: He Got SF Group To Pay Him $75K For A Speech Available Online. Thomas L. Friedman, the NYT's bloviator-in-chief, got a San Francisco air quality agency to pay him $75,000 last week to blow some stale air in its direction. That's roughly equivalent to the annual salary of any one of the dozens of NYT employees laid off in the past year. The San Francisco Chronicle broke the news this morning that the Bay Area Air Quality Management District gave Friedman the $75K to speak about environmental issues at a climate summit last week in Oakland. That, as the Chronicle cleverly put it, is "a lot of green." The Chronicle story mentioned reports that "Friedman's talk was almost identical to a speech he gave in November in Florida at a National League of Cities confab," available online for free. "That very likely may be," a spokeswoman for the Air District told the Chronicle. "But this certainly is much more moving and inspirational to see and hear in person." The San Francisco paper rightly seemed more concerned with how a local agency could have so much money to burn on a guest speaker. Whereas we are more concerned how anyone could think to pay Tom Friedman that much money to hear him repeat himself. It's painfully dull enough the first time. NYT Political Reporter Michael Powell Calls The NYTPicker "Some Ivy League Pin Head." In a comment this morning on yesterday's item about the NYT's coming "cash bar" party for its regional sections this Wednesday, top NYT political reporter Michael Powell has lashed out at The NYTPicker -- at one point referring to us as "some Ivy League pin head." Powell levelled the attack in the course of pointing out that NYT regional editor Jennifer Preston is "one of the truly good people" at the NYT -- citing her editing skills, her recruitment of talented regional journalists, and her heritage as the daughter of working class Irish Boston parents. It should be noted here that The NYTPicker made no criticism of Preston in our original post, except to raise a question about the idea of throwing a "cash bar" party for laid-off freelancers who can't really afford drinks at the moment -- especially at a party thrown by the paper that just laid them off. We didn't say anything much about Preston, except to cite her management training as a way to poke fun at her use of the word "folks" in addressing the invite. In any case, Powell -- whose terrific essay on rootlessness in American politics we still remember vividly from last August -- has issued a stinging critique of The NYTPicker for its coverage of this little episode. Given Powell's stature at the NYT -- and the fact that he brings his own employer in for some criticism in making his point -- it seemed worth reprinting his comments in a post of its own. Jennifer Preston is one of the truly good people at the New York Times, and has fought for her staff well at a time when the paper has decided to lance -- quite good -- regionals, even though they make money. She is an excellent editor who has fashioned the regionals into a shelter from the storm for many fine reporters from the Star Ledger, Hartford Courant and several other near-to-death newspapers. She's been treating well those who work with her for decades. This was beneath you. She has attended newsroom management and leadership programs at Northwestern University's Kellogg School of Management and Dartmouth's Tuck School of Business Administration." Given these very tight times, a manager faces unpalatable choices. In this case, forgo the Irish Wake that traditionally accompanies the death of any newspaper or section (By the way, Jennifer worked at New York Newsday, a magnificent paper that folded one Friday afternoon in 1995, so really she needs no lectures in newspaper loss and uncertainty), or throw a party and have everyone buy a beer. I don't doubt it's a horrible time to be a free-lancer. Nor do I doubt, from having observed in the newsroom, that Jennifer and Connie R. [Rosenblum, editor of the City Section] treated their charges with respect and kindness--and got great work back in return. If you want to carp about the NYT refusing to spring for such parties, fine. Knock yourself out. But if you choose to go after the editor in question by snarking about a few lines from a Columbia J-School bio, well, you can't be surprised if this so called reporting is called to task. Jennifer Preston, NYT Regionals Editor, Invites Laid-Off Writers To A Party. P.S. : Bring Money, It's A Cash Bar! This Wednesday night, Jennifer Preston -- the editor of the NYT's soon-to-be-folded regional sections -- is throwing a party to commemorate the closings at the nearby Houndstooth Pub on 8th Avenue. Want to come? Great. But don't forget to bring money, because the NYT doesn't have any to spend on you! Yes, it's the dreaded "cash bar" -- which means that if you're one of the writers recently laid off from the sections, you're going to have to withdraw funds from your dwindling bank account before you get there. And we recommend eating at home, first. One order of fried calamari at the Houndstooth will set you back ten bucks! She has attended newsroom management and leadership programs at Northwestern University's Kellogg School of Management and Dartmouth's Tuck School of Business Administration. It could not be learned at press time whether it was at Northwestern or Dartmouth that she was taught, when inviting recently laid-off employees to a "cash bar" party, to refer to them as "folks." May 10, 2009: Jacob Harris, NYT's Senior Software Architect, To NYTPicker: "Wow, This Is What You've Sunk To." 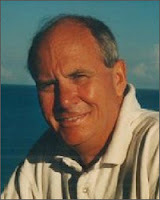 May 10, 2009: Joe Sharkey, NYT Columnist, Tells NYTPicker: "This Business Used To Have Manners." 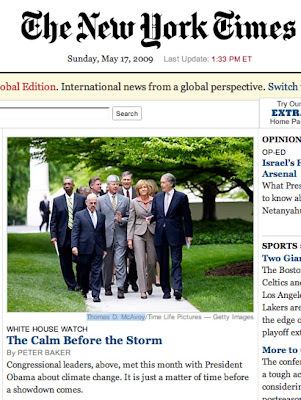 May 10, 2009: NYT Political Reporter Michael Powell Calls The NYTPicker "Some Ivy League Pin Head."